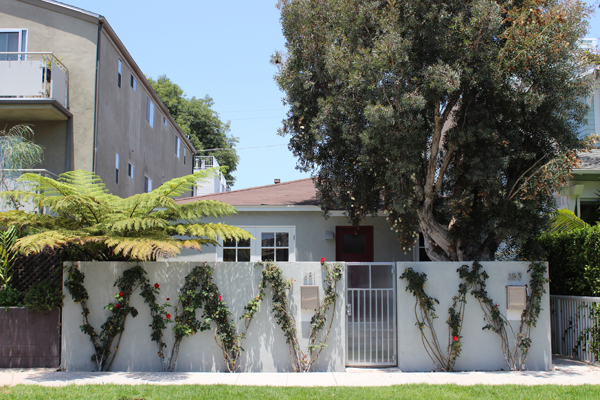 Home » Listings » 251 Market St.
Windward Circle duplex centrally located between beach and Abbot Kinney Blvd. offers multiple opportunities - live in one unit and rent out the other to help pay the mortgage, live in one unit and work out of the other to save on office rental costs, rent out both units for investment purposes or add second story to turn into single family home. Front unit underwent major renovation in 2008. Kitchen features pearwood cabinets, granite counter tops, travertine stone floor, LG refrigerator and dishwasher and Viking stove. Bathroom features granite counter tops, travertine stone floor and Artemide light fixture. Both kitchen and bath have good storage space. French doors in living room open to courtyard seating giving nice diagonal views from kitchen and dining area. Rear unit, a mirror image of the front, used as owner's office needs updating. Two car garage and one open space provide ample parking. Property will be vacant at close of escrow. Sale subject to seller finding replacement property.